The American Psychoanalytic Association (APsaA), the oldest national psychoanalytic organization in the nation, was founded in 1911. APsaA, as a professional organization for psychoanalysts, focuses on education, research and membership development. In addition to the national organization, APsaA’s membership includes 30 accredited training institutes and 39 affiliate societies throughout the United States. Since its founding, APsaA has been a component of the International Psychoanalytical Association, the largest worldwide psychoanalytic organization. Each session on a separate CD (includes free binder); or all sessions in mp3 format on free USB (playable on any computer, tablet, or other electronic listening device. CDs and USBs delivered via Priority US Mail. 15% shipping and handling fees will be applied upon checkout. Speakers: Bonnie E. Litowitz, Ph.D. Speakers: Andrew J. Gerber, M.D., Ph.D.
University Forum: Henry James's "Portrait of a Lady"
Speakers: Robert Pyles, M.D., Mark Smaller, Ph.D., Warren Procci, M.D. Speakers: Charles P. Fisher, M.D, . Dr. Maggie Zellner, Dr. Richard Kessler and Dr. Mark Solms. Speakers: Graciela Abelin-Sas Rose, M.D./Peter Mezan, Ph.D. Speakers: Jeanine M. Vivona, Ph.D.
Meet-the-Authors: Dr. Mark Leffert, M.D. and Dr. Jeremy D. Safran, Ph.D. Speakers: Michael L. Krass, Ph.D.
Illustrating Analytic Theory and Process in Alison Bechdel’s Fun Home and Are You My Mother? 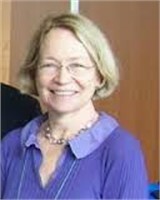 Speakers: Jolyn Welsh Wagner, M.D.